Note: I was given an eARC copy of this book from the publisher. I was not paid to write this post and all opinions are my own. 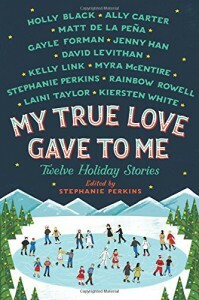 I’m sure you’ve all heard about the holiday themed YA collection of short stories My True Love Gave to Me edited by Stephanie Perkins. Bloggers have raved about it and its gorgeous cover has been featured in a lot of bookstagrams. If you haven’t picked it up yet, here’s why I think you should read it and short stories in general. 1. Short stories or novellas are a great satisfying read if you only have a small amount of time or in between all your holiday plans. You could just read a chapter or a few, but a short story or novella could be more satisfying. Less of that “just one more chapter” business. 2. 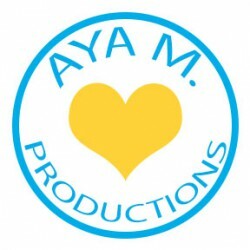 It’s a great way to sample an author’s style. To be honest, I’ve never read any of the authors featured in My True Love Gave to Me (except Holly Black). Many of the authors are on my TBR list, but I just haven’t gotten around to it. I LOVED Rainbow Rowell, Stephanie Perkins, Myra McEntire, Kiersten White, and Ally Carter’s short stories. They were cute and fun. Exactly what I love reading. I’ll definitely be bumping them up my TBR. 3. It’s a story in a little package. Long books may be intimidating. So why not read a short story? If done right there’s a satisfying read with all the plot elements. In the case of Rainbow Rowell, a story can span a couple of years. 4. In compilations, there’s bound to be something for everyone. It’s true. I didn’t like all of the novellas. In particular, I didn’t enjoy the paranormal stories as much. Most confused me. I just didn’t think they developed and explained the paranormal aspects well enough in some of the stories. But I loved an adored the contemporary ones. Someone else may easily have a different opinion than I did.